The Bodleian Library in Oxford houses a manuscript of a sonata for viola da gamba and continuo written by Gottfried Finger. 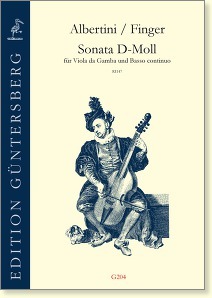 The composition however is not by Finger himself, rather, it is an arrangement of a violin sonata by Ignazio Albertini, which was published in 1692. The music is in the Austrian-Bohemian style. The introduction with many fast runs over a sustained bass is a characteristic of the Stylus Phantasticus. 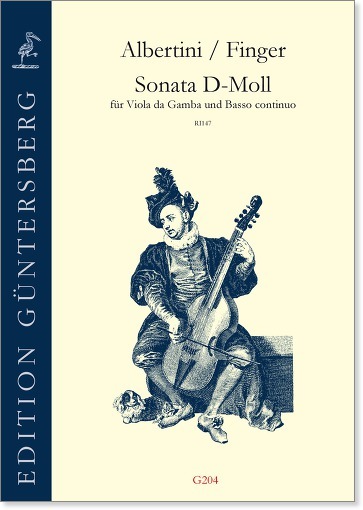 With this edition, we would like to encourage the examination of other violin works to determine their suitability for the viola da gamba.